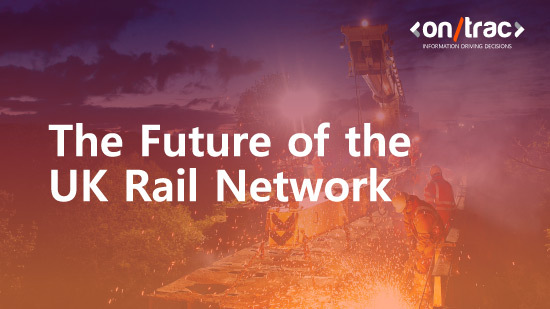 The UK rail network finds itself in the throes of revolution, with digital change shaping the future of the rail industry. Technology is empowering staff to look at new ways of working, and as such, opportunities in rail are at an all-time high – particularly since the announcement of the Digital Railway programme. However, there are also areas of the industry fraught with challenges, which need to be overcome, if it is to see true digital success. The rail industry has long been aware of the capacity challenge it faces. Trains are overcrowded, the infrastructure is rapidly ageing and social and cultural motivations for change are often at odds with this. More people are using the trains year on year, with no downturn in sight, and the pressure for the sector to increase its capacity is mounting. Passengers are demanding immediate change, but budgetary constraints leave the rail industry at a crossroads. The results of which aim to benefit, not only the rail industry’s rapidly ageing infrastructure, but the workforce and rail passengers too. Alongside the Digital Railway programme is Network Rail’s Railway Upgrade Plan. The company are spending £130million every week on improvements across the UK’s railways. As a result, the sector is seeing more collaboration between track and trains, cultivating in a more joined up approach towards infrastructure upgrades and maintenance. The Railway Upgrade Plan is currently the largest modernisation programme in effect since the Victorian age, with key projects taking place across the country every day. These projects include: HS2, which will link eight major cities in the UK. Upon completion, HS2 will make travel easier for passengers living in the north and midlands. The plan also includes Crossrail, which will enable 1.5million more passengers to commute into Central London within 45 minutes, when it is fully open in 2019. The Crossrail project formulates part of the London Upgrade Plan, which aims to improve infrastructure in and around the capital. Network Rail and companies across the rail network are also working on railway upgrades in Scotland – the Edinburgh-Glasgow Improvement Plan (EGIP) highlights areas where improvements are taking place. The Great North Rail Project will see improvements to our region’s rail infrastructure, which in turn will create better connections between towns and cities across the north of England. Digitalisation improvements will see the replacement of traditional train signals, known as ‘block signalling’. Instead, to respond to ongoing capacity constraints, the industry will be deploying modern signalling and train control technology. Block signalling can no longer work efficiently, given the demand on the rail network. Therefore, replacing this with wireless technology on both trains and trackside will streamline the infrastructure, and improve journeys across the country. This updated technology will automatically identify trains, accommodate their needs and optimise space on the tracks more efficiently and effectively. This will allow more trains to use the tracks at the same time. The implementation of digital train control technology will benefit passengers directly too, as it will be able to communicate directly with stations. This means that timetables can be adjusted by intervals of seconds, not only increasing the level of communication between passengers, tracks and trains, but facilitating a transformation in how commuters use and experience the rail network. Early in the programme’s infancy, the concept of digitalisation raised questions pertaining to the future of the workforce. With a lot of focus on releasing capacity, there were concerns that operational performance and workforce safety were taking a backseat. However, since then, there has been a widespread uptake in smartphone and tablet usage on sites across rail. While previously banned on site, the realisation that implementing smartphones and app-based software on site was able to streamline and increase productivity and efficiency across worksites, has seen a widespread transformation in how companies across rail are carrying out their work. Because of this transformation, Network Rail made a change to their own standards last year, to facilitate increased collaboration across the network, which directly attested to the rail industry’s growing commitment to its own digitalisation. After all, what facilitates greater collaboration in the 21st century than a smartphone loaded with apps? For example, since November 2017 alone, OnTrac have built over 80 mobile apps for Network Rail, using our mobile app platform of choice, Nutshell Apps, which reiterates the industry’s ongoing commitment to digitalising the railways. While the ultimate goal of a truly digital railway is to see a greater, more reliable rail network, the eradication of delays/cancellation for passengers, a transformation in work safety and a reduction of live service issues as a result of ageing infrastructure, the overall improvement of operational performance across the network is key – and digitalisation is crucial to this success in a modern working landscape. Since OnTrac first launched in 2010, there have been vast amounts of technological breakthroughs. Ten years ago, mobile phones were only just on the precipice of becoming ‘smart’ – those of us who did have mobile phones didn’t use them for much other than making calls and sending the occasional SMS. Now? Phones are smart, and they are integral to almost every aspect of our professional lives. Looking beyond how we can now communicate and collaborate with one another from anywhere in the world, the way in which we travel from A to B has also been transformed. The future of mobility and transport is wrapped up in Uber’s business model; they changed the face of transport forever, and it is now rail’s turn to catch up to Mobility as a Service (MaaS). Since 2016, residents of Helsinki have been able to use an app to plan and pay for all forms of public transport – including trains – marking a transformative departure for where most cities across the globe are. This not only makes it easier for Helsinki’s residents to get around, but also forms a more user-centred paradigm that makes the existing transformation network far more efficient and user-friendly. MaaS aims to tackle gridlocks and capacity issues by naturally evolving the old way of working. So, rather than adding entirely new infrastructure to relieve the capacity issue – which is both slow and incredibly costly – Mobility as a Service offers an alternative way to keep more people moving. It’s faster, cleaner and less expensive than current options. In essence, this is what the Digital Railway Programme is about – and it is certainly what passengers are demanding. Ease of access, improved communications, real-time updates underpinned by a smart, digital railway. Adding variability into the UK’s rail network is crucial, and adopting an attitude that incorporates mobility as a service is crucial to improving operational performance across the rail network – transforming a relatively inflexible transformation system into one that is significantly more pliable to both passengers and the railway network is what the Digital Railway Programme is about, is it not? Adding variability into the UK rail network would enable mobility as a service to take a front seat in transforming what has – inevitably – been a transformation system dogged by inflexibility. Making the UK rail network a more pliable service, by placing the smartphone at the front of this – both on the passenger and workforce side – will give us a rail industry that is not only more flexible, but more successful too.